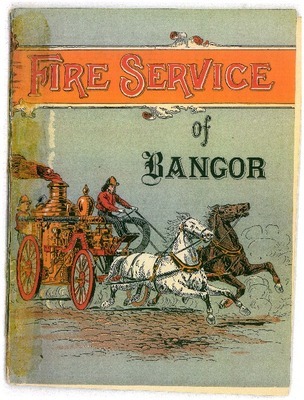 A brief history of the Bangor Fire department from the beginnings to 1890. Subtitled: A Souvenir Containing an account of the service from leather bucket times to the present fire department. The proceeds to be donated for the benefit of Disabled Members of the Bangor Fire Department.